S.S. Rajamouli, the creative genius, holds the enviable record of delivering stupendous Blockbusters in a row. His films, consequently, have been remade in various Indian languages... the Hindi film industry has woken up to his brilliance as well. VIKRAMARKUDU was remade as ROWDY RATHORE, EEGA was dubbed in Hindi as MAKKHI and now, Rajamouli's MARYADA RAMANNA gets a Hindi avatar -- SON OF SARDAAR -- after being remade in Kannada and Bengali languages. MARYADA RAMANNA, in turn, displayed a striking similarity to the 1923 Hollywood silent film OUR HOSPITALITY. SON OF SARDAAR is the remake of a Telugu film, but the Hindi avatar is set in an entirely different precinct. Nonetheless, what remains unaffected are the set of regulations that make masala entertainers work. Be it the hero's gallant introduction, his breaking into a power-packed dialogue or confronting the opponent, also bashing up the rogues, like we swat flies and mosquitoes, romancing the heroine amidst the mayhem... every significant episode has been integrated with the objective of eliciting whistles, catcalls, roars and ovation. SON OF SARDAAR stays most faithful to the ideology of providing unabashed entertainment, while logic, expectedly, takes a backseat. But who's expecting a movie with smart repartee and loads of enlightenment anyway? Deviating from the light comedies/slapstick humor that he's attempted in the past, director Ashwani Dhir follows the Rohit Shetty and Prabhu Dheva tradition of making formulaic films/entertainers that pack drama, humor, song-n-dance, thrills et al, with the 2.20 hour film brimming with just about everything available on the shelf. Since the setting is Punjab, everything that you witness in SON OF SARDAAR is larger than life, right from the hospitality and hostility, the humor, the jokes and the thrills. With a skeletal plot to play around with, SON OF SARDAAR may give you the feeling of deje vu, but let's face it, it needs tremendous skills to pen a screenplay that never lets you lose focus. Dhir and screenwriter Robin Bhatt ensure that they throw every trick in the book to serve a no-holds-barred entertainer, with 70 mm herogiri at its best, to the amusement-seeking moviegoer. That's one of the prime reasons why SON OF SARDAAR hits the right notes. Ajay Devgn works for his friend [Salman] and his uncle in London. He receives a notification from his hometown in Punjab that states that he is about to inherit a piece of land. Ajay sets out for his hometown in Punjab and bumps into Sonakshi Sinha while boarding the train. Both Ajay and Sonakshi are oblivious of the fact that the families have a long-standing feud. Sonakshi happens to be the niece of Sanjay Dutt, whose brother was killed by Ajay's father many years ago. Soon enough, Sanjay Dutt and his nephews [Mukul Dev, Vindu Dara Singh] realize that Ajay is the son of the killer and even want to slaughter Ajay, but there's a hitch. Ajay has entered their mansion as a guest and as per the tradition, all guests are to be treated as God. Like GHAJINI, WANTED, DABANGG, SINGHAM and ROWDY RATHORE, SON OF SARDAAR pays homage to the cinema of 1980s and 1990s. The trend of creating desi movies that emphasize on entertainment has already gathered steam and SON OF SARDAAR is one more big-budget extravaganza that aims at wooing the Indian mass audience. Sure, it's brash, outrageous, wacky, exaggerated, irrational... so what? As long as it's fun to watch, one shouldn't grumble. While the first hour is breezy and thoroughly enjoyable, the narrative dips in the second half as the focus shifts to romance, with vengeance taking a backseat. But the penultimate portions, especially the combat between Sanjay and Ajay, is the hallmark of the enterprise, with the film concluding on another euphoric note -- the song 'Po Po' -- which features Salman. 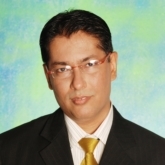 Regardless of the 'old-fashioned' appeal, Dhir imparts a novel touch to several sequences. He plays to the gallery blatantly and audaciously, but he also ensures that the film is held together by a mesmerizing screenplay that unfolds at a feverish pace. Besides, Dhir emulates his peers and packs a solid punch in the high-voltage dramatic sequences. The ones between Sanjay and Ajay in particular are the mainstay, actually. There's a strong undercurrent of emotions, courtesy Juhi Chawla, while the romantic scenes are more of window dressing, offering the director reasons to slot in the mandatory song-and-dance routine. Action has always been the perfect component to straight away connect with the masses and SON OF SARDAAR has several of those South-style maar-dhaad scenes [Jai Singh Nijjar]. They might seem gimmicky, but the truth is they work big time with the spectator who relishes those kind of stunts. The climax fight sequence, when Sanjay and Ajay lock horns, is superbly choreographed. Aseem Bajaj's cinematography compliments the director's vision completely. It's top notch. The soundtrack boasts of talented and accomplished names and in keeping with the mood of the film, the composers deliver songs with North Indian tadka. 'Bichdann', 'Rani Tu Main Raja', the title track and 'Po' [the Salman Khan number] come easily to the lips. The choreography of 'Po' in particular is imaginative and is sure to please 'Bhai fans'. Sandeep Chowta's background score is fantastic. SON OF SARDAAR marks Ajay's return to action, a genre that was once dominated by him till he decided to diversify to romance and comic roles. The supremely talented actor takes charge of the film from the commencement itself and holds it tight all through. If you're a fan of Ajay, repeated viewings are assured for sure. 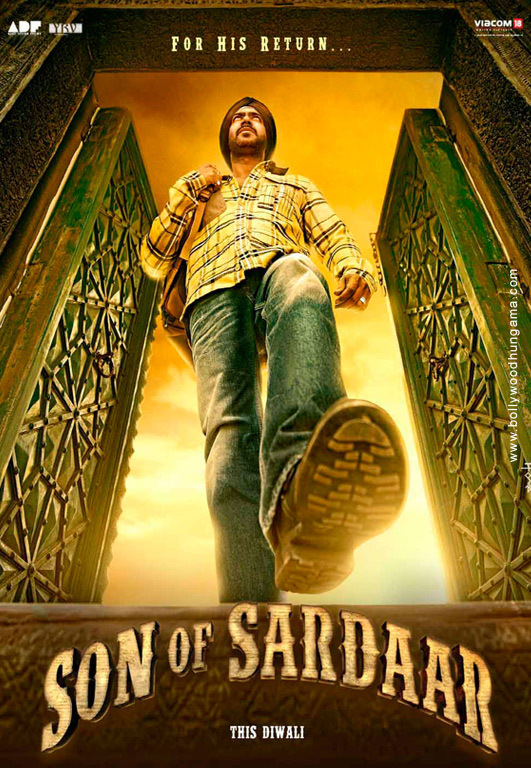 Post AGNEEPATH, SON OF SARDAAR is another significant film in Sanjay's career. The actor is in his element here, handling the ferocious moments [when he gets to know Ajay's identity] and the sensitive ones [with Juhi and Sonakshi] with effortless ease. Sonakshi's character is similar to the one she portrayed in DABANGG and ROWDY RATHORE and there's this fear of getting typecast, but she sparkles in the sequences that she appears in, which works to her advantage. Juhi Chawla is outstanding, adding so much weight to her character. Her sequences with Sanjay are thoroughly enjoyable. The film has a very strong supporting cast and I'd like to single out Mukul Dev for his fantastic performance. His performance is truly first-rate. It's a delight watching Tanuja, one of the finest actresses, after a hiatus. She's wonderful, especially in the final moments of the film. Vindu Dara Singh is hilarious, while Rajesh Vivek leaves an impression. Arjan Bajwa does well in a brief role. Puneet Issar and Mukesh Tiwari are efficient in cameos.